INTENSIVE CARE UNIT (ICU) | Montego Bay, St. James Designing the floor plan for an ICU is a complicated, as space relationships must be defined to enhance function and minimize time. Here is a view of the hall inside ICU. The thick dado rails protect the walls from moving beds and assist the physically impaired to maneuver. 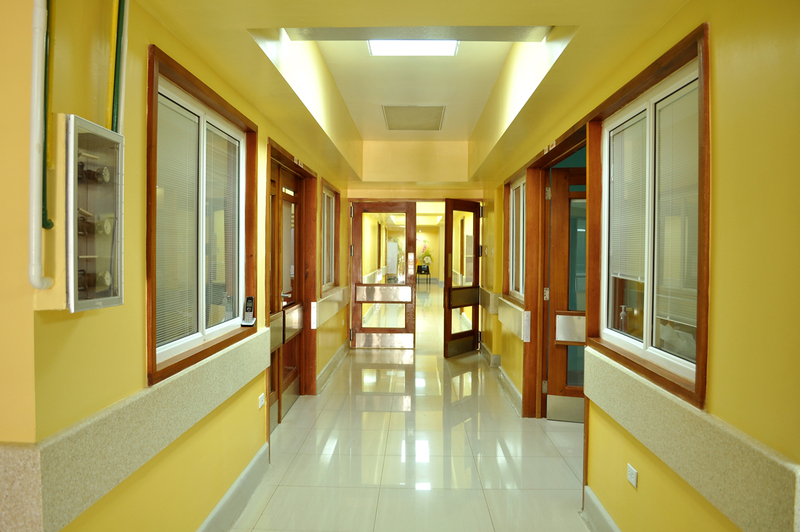 INTENSIVE CARE UNIT (ICU) | Montego Bay, St. James Institutional Design was my first area of speciality in Florida, USA. I elated something truly special with this ICU. We completely gutting the existing Hospital wing, leaving only its structural elements. Here you can see a view of the new Lobby area. 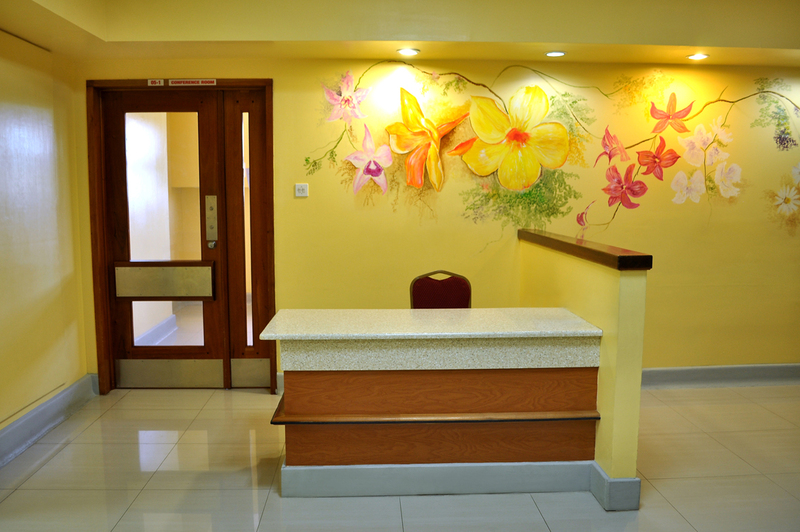 INTENSIVE CARE UNIT (ICU) | Montego Bay, St. James The custom designed centralized Nurses’ Station was create for superior function and located to have visual oversight of the eight bed unit. The Unit’s state-of-the-art stainless steel fixtures were appointed for easy maintenance with durability. I am proudest that we provided a superior product on schedule and within budget. 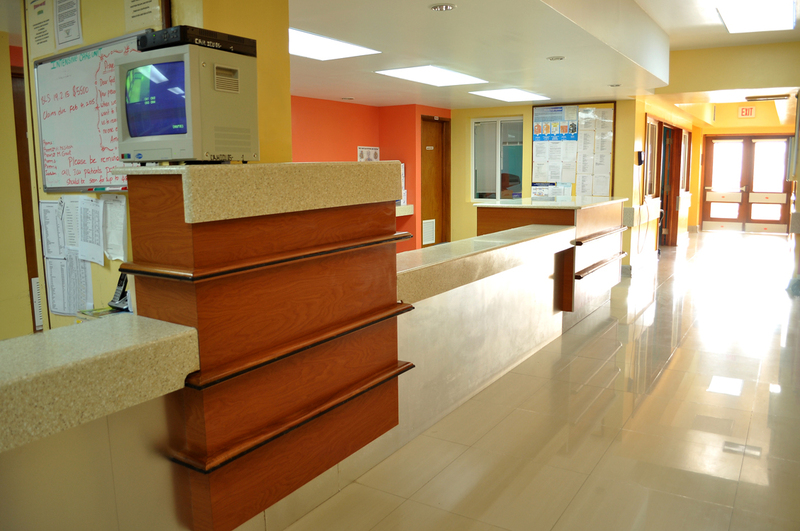 INTENSIVE CARE UNIT (ICU) | Montego Bay, St. James Our design added floor area to the space by enclosing outdoor corridors.The light absorbing black terrazzo floors were replaced to improve light levels and enhance the appearance of clean. Great attention was given to the ceiling design and lighting. 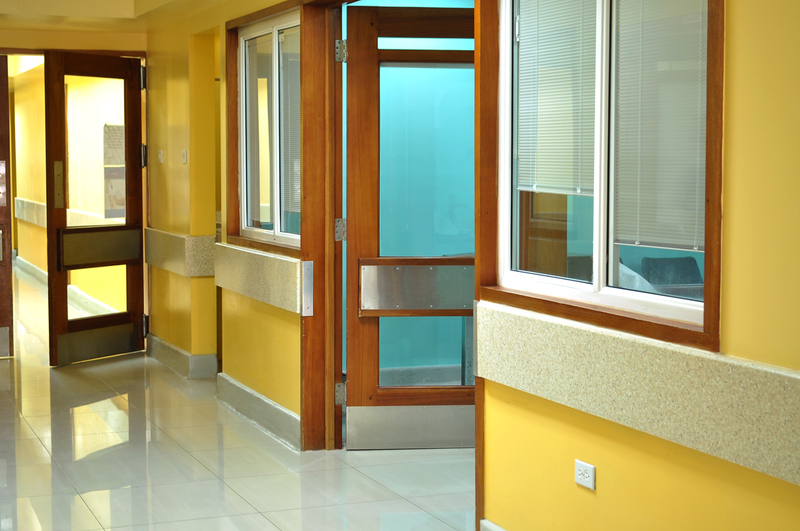 INTENSIVE CARE UNIT (ICU) | Montego Bay, St. James All Materials were carefully selected for ease of maintenance and sanitation. From the corian work surfaces to the stainless steel door kicks and push plates – all surfaces and finishes were selected to fit their function, location and to endure for decades to come. INTENSIVE CARE UNIT (ICU) | Montego Bay, St. James The ceilings were one of the main architectural details we added to the space. 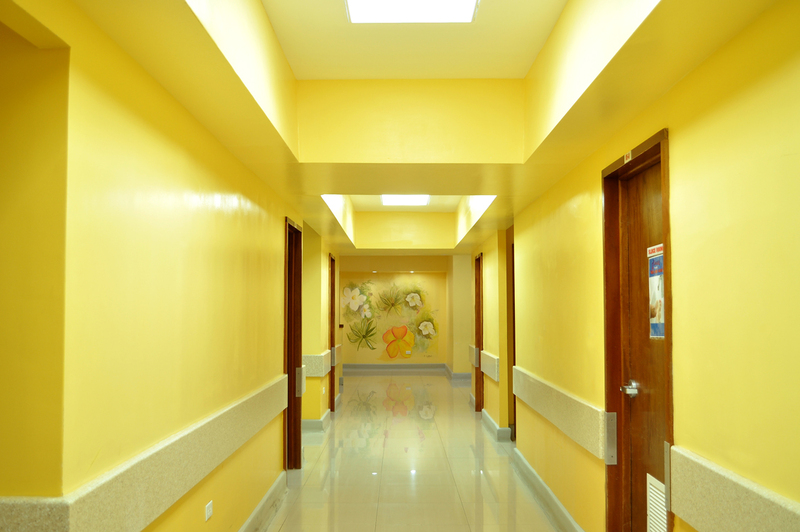 While being stunning and adding height and spatial volume, they house critical services; electrics, HVAC systems, and medical gases necessary for the effective functioning of an ICU. 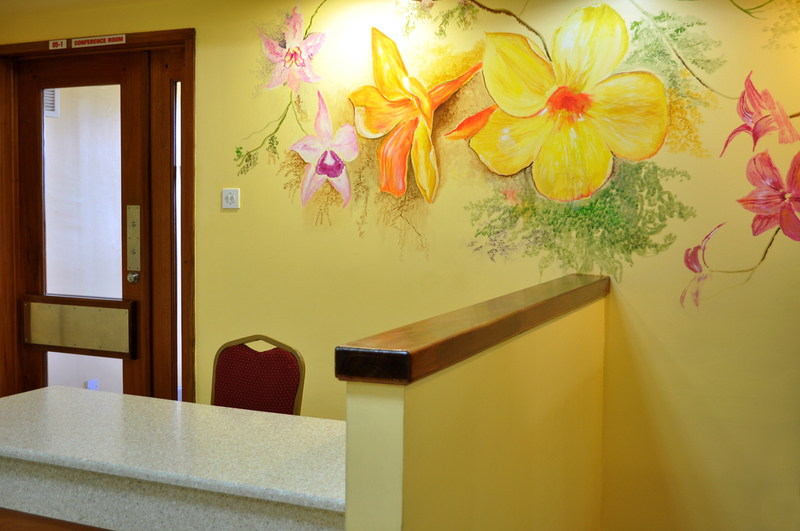 INTENSIVE CARE UNIT (ICU) | Montego Bay, St. James Cheerful colors used were in public areas, while a healing, calming and restful palette was used patient care areas. The mini-blinds sandwiched between two sheets of glass in the doors and windows, allows for light control, privacy and effortless maintenance, since there is no direct contact with the blinds. 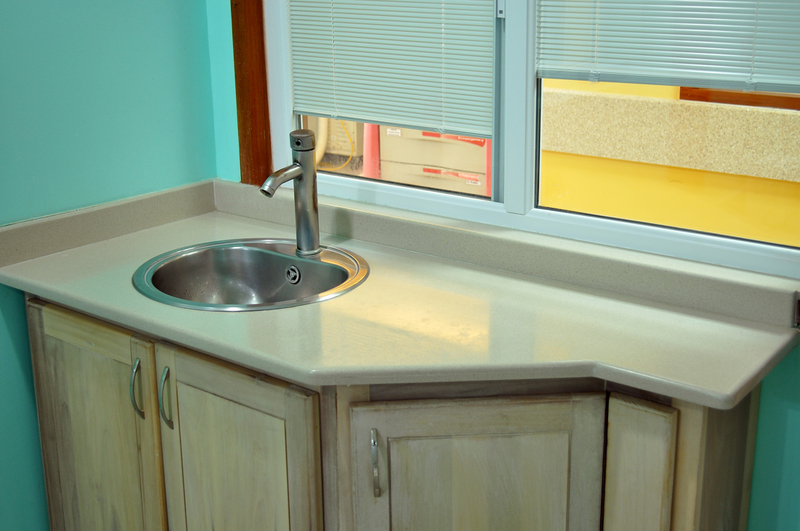 INTENSIVE CARE UNIT (ICU) | Montego Bay, St. James From hand sinks in patient rooms to restroom facilities, all the stainless steel plumbing fixtures where designed for handsfree operation to minimize the spread of germs. 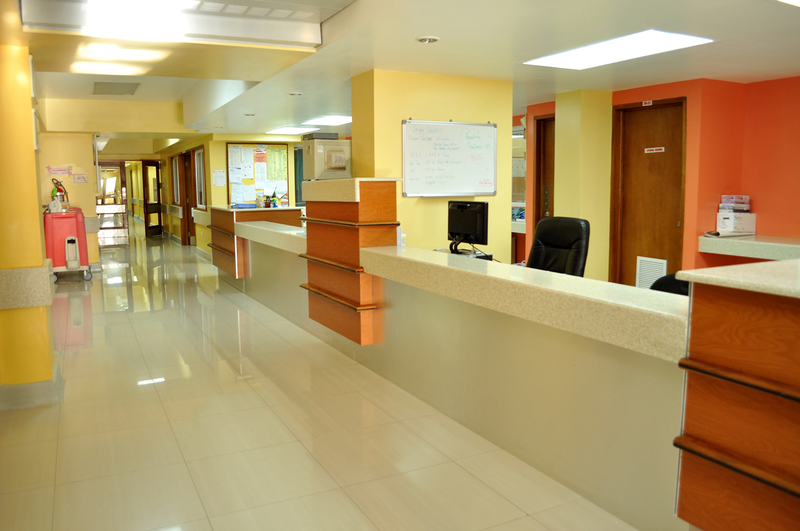 Solid surfaces also facilitate easy cleaning, disinfecting and maintenance.